The NSW State Government has released plans to earmark the former industrial Bays Precinct, which includes White Bay, Glebe Island and Rozelle, for a redevelopment into a tech and innovation hub. White Bay Power Station will be reborn as a hub for knowledge-intensive industries and there will be a continuous waterfront promenade from Balmain to Pyrmont, NSW Premier Mike Baird and Planning Minister Rob Stokes announced recently. UDIA NSW Chief Executive Stephen Albin said, “It’s exciting that the rubber is about to hit the road on this major transformation project after more than 20 years of stagnation around Bays Precinct plans. “The collaborative approach taken by the NSW Government is to be commended with input from community groups, residents and industry adapted into the final plan in what appears to be a balanced and practical way,” he said. Mr Albin said the State Government’s Request for Proposals for the renewal of the White Bay Power Station and surrounding waterfront is to be commended, and he anticipates industry will show keen interest in opportunities. 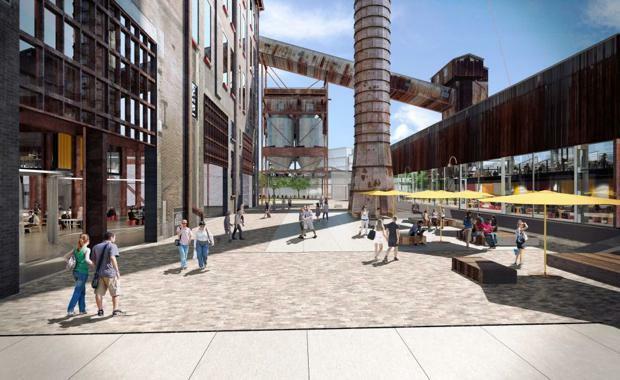 “The design principals that will accompany the two urban renewal land parcels at the White Bay Power Station and surrounds are broad enough to encourage new and innovative development and the creative adaption of public space,” he said. “What’s being presented here is an opportunity to create never-before-seen spaces to further strengthen Sydney’s position as a world-class destination."